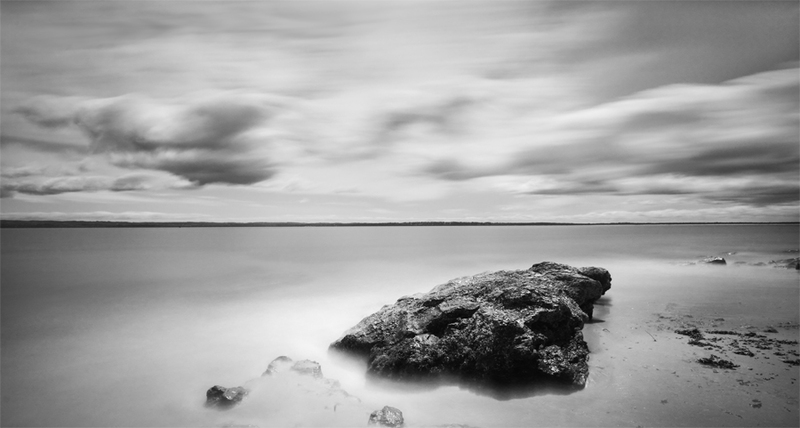 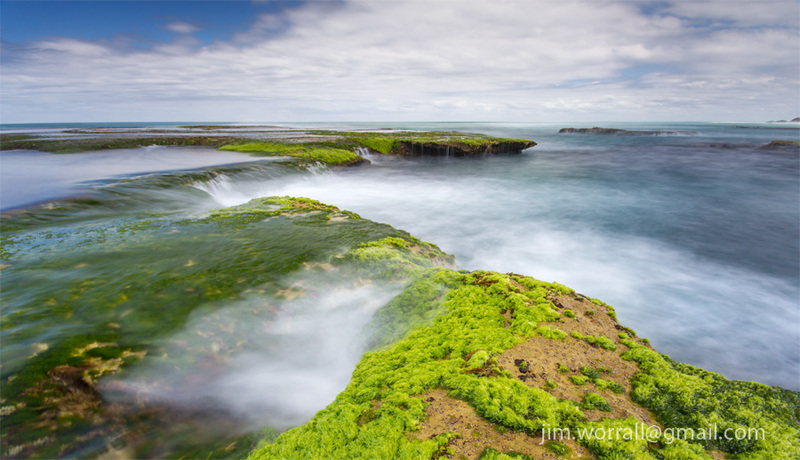 Above – A long exposure image of the iconic rock at Sorrento back beach. 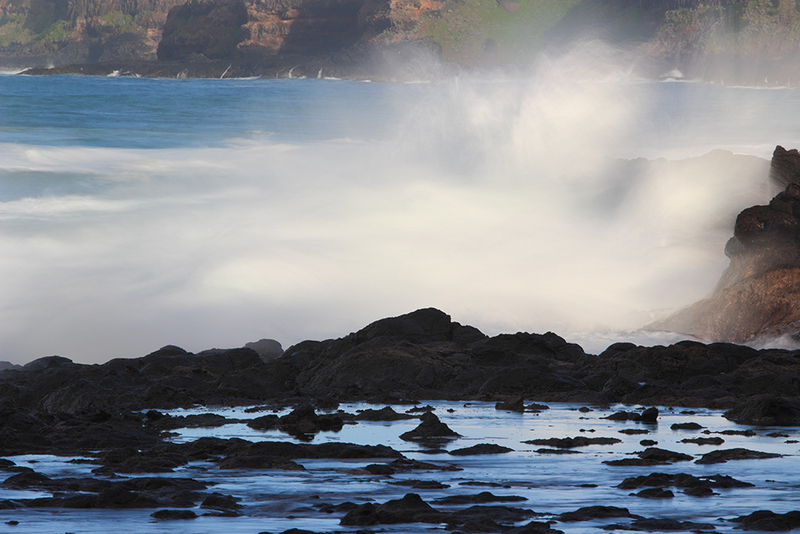 Being well elevated and surrounded by rough water, the rock is a haven for large sea birds. 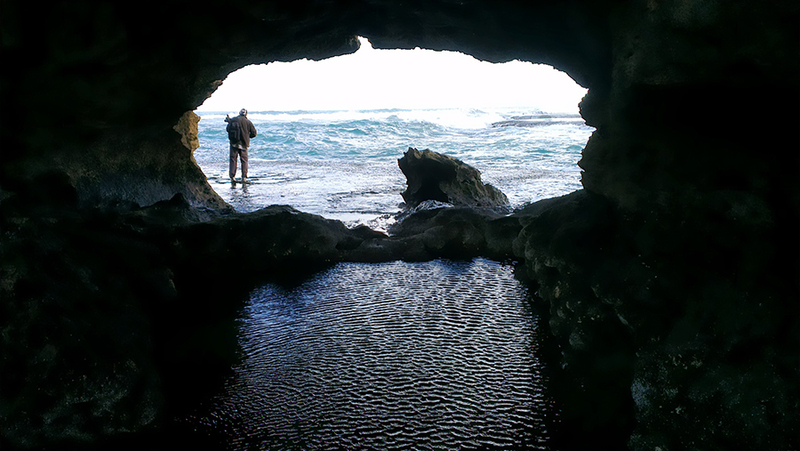 You can visit the rock and it’s popular surrounding bay by driving to the end of Ocean Beach Road in Sorrento. 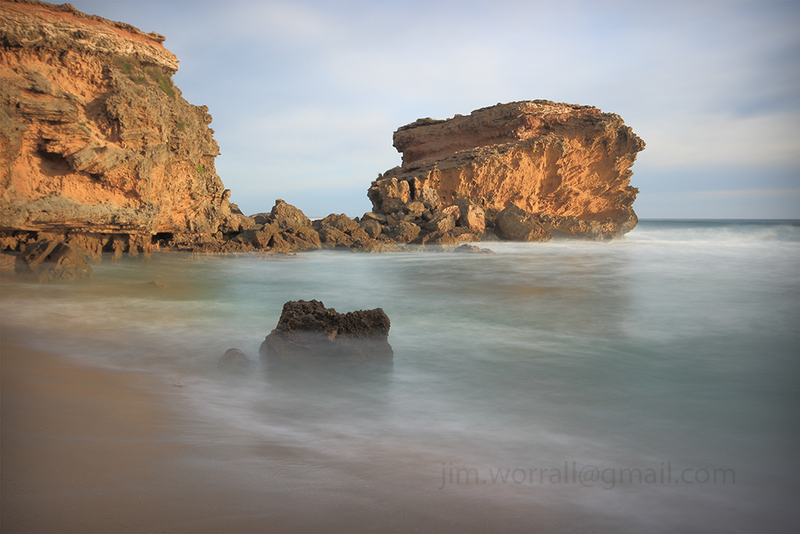 The image is available as a quality print at my Zazzle and RedBubble sites. 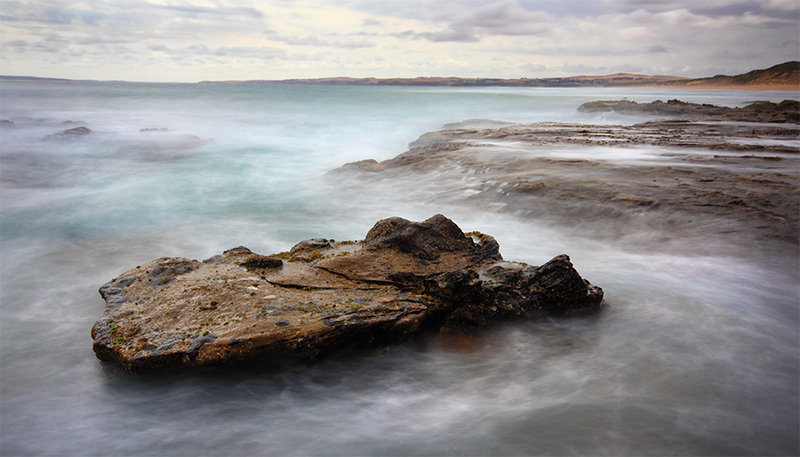 A marker on the outermost edge of the rock shelf at Ricketts Point beach in Port Phillip Bay, Victoria, Australia. 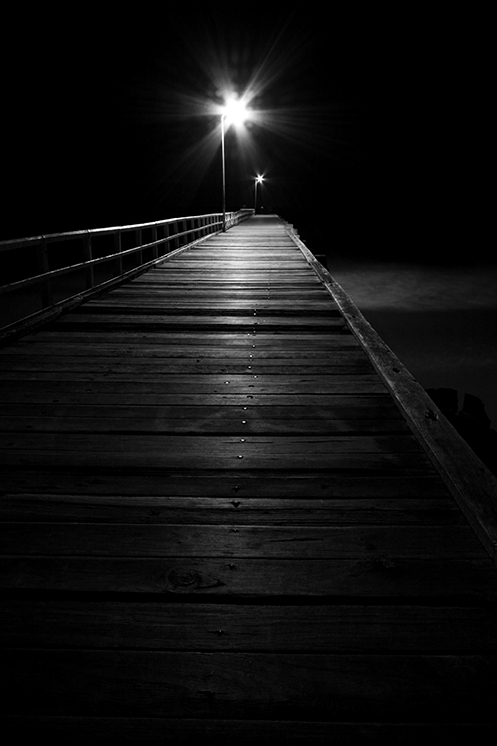 Prints are available at my Zazzle or Redbubble websites. 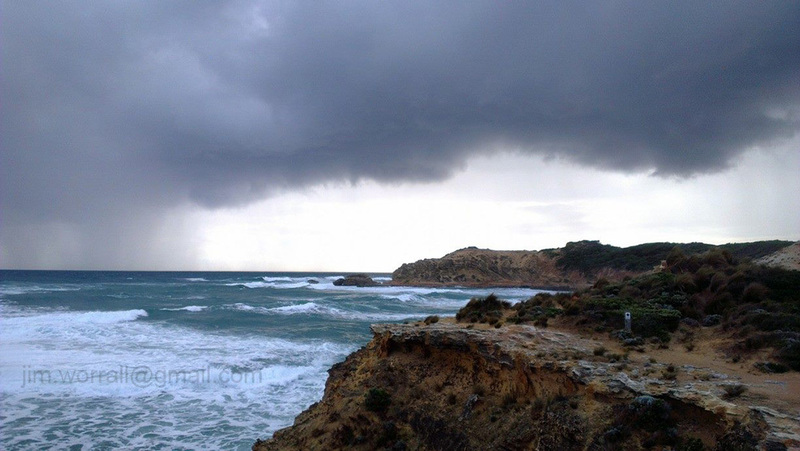 It was a fine day with fluffy white clouds scooting along on the breeze. 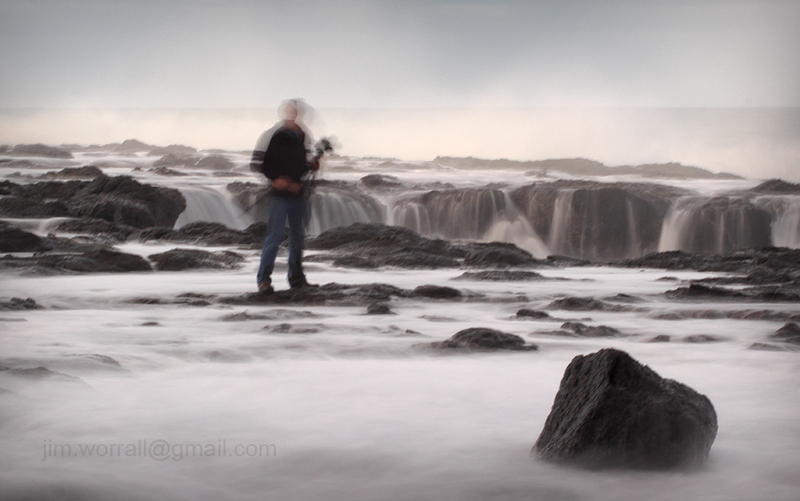 It didn’t take long for me to convince myself to go down along the coast and play with some dark ND filters. 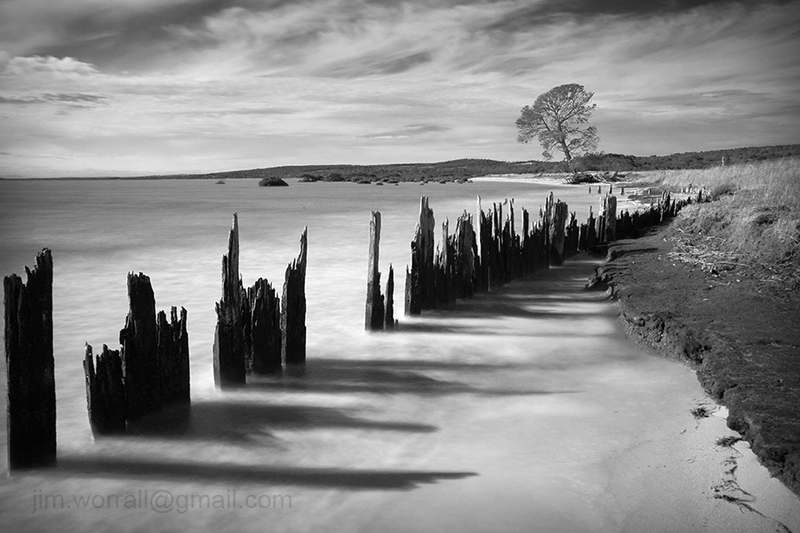 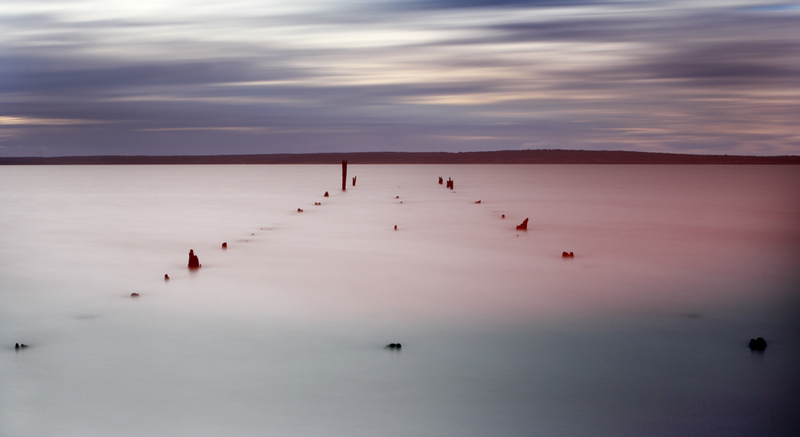 Below – The old jetty remnants at Cat Bay, Phillip Island. 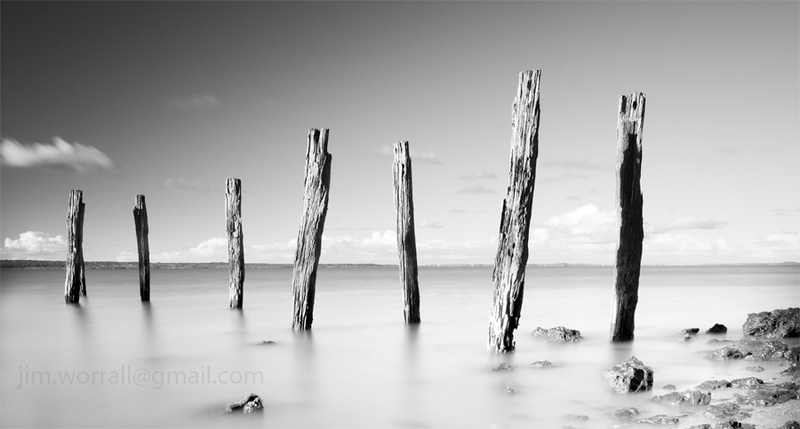 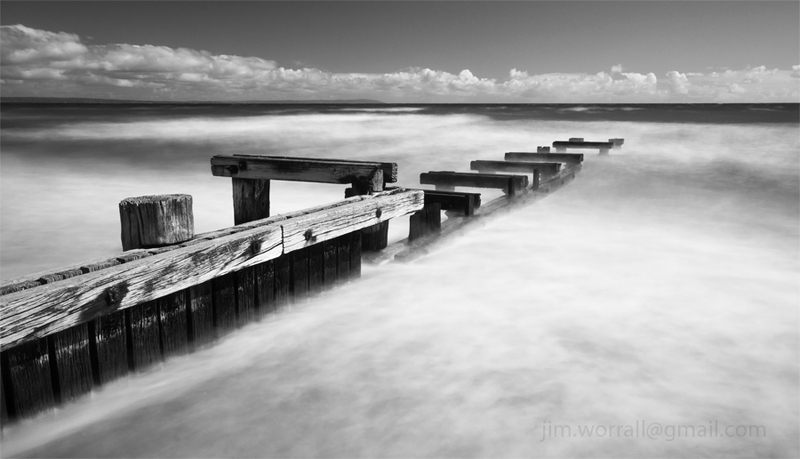 Below – The old jetty remants at Cat Bay, Phillip Island. 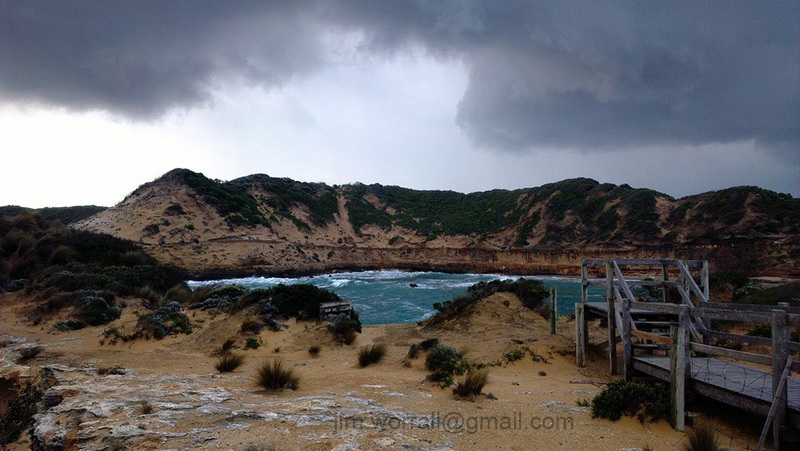 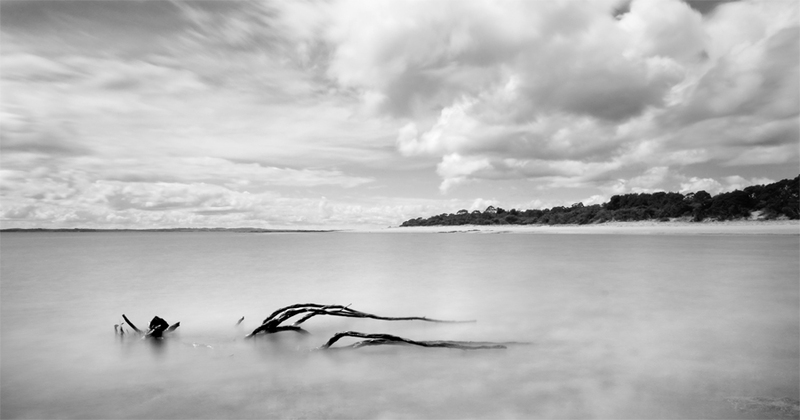 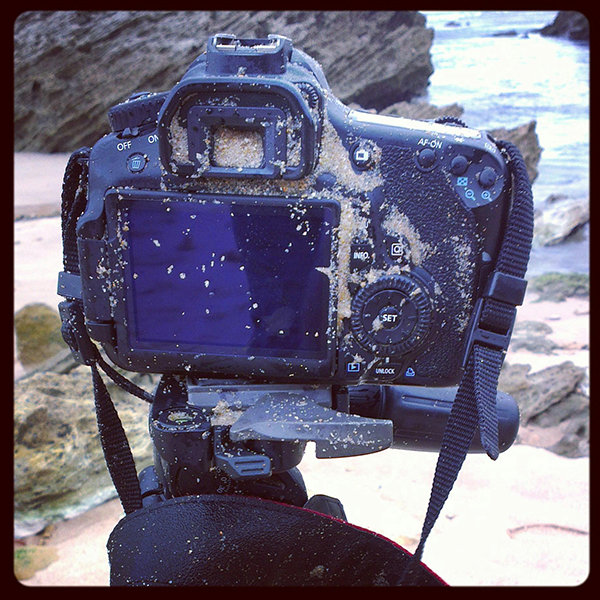 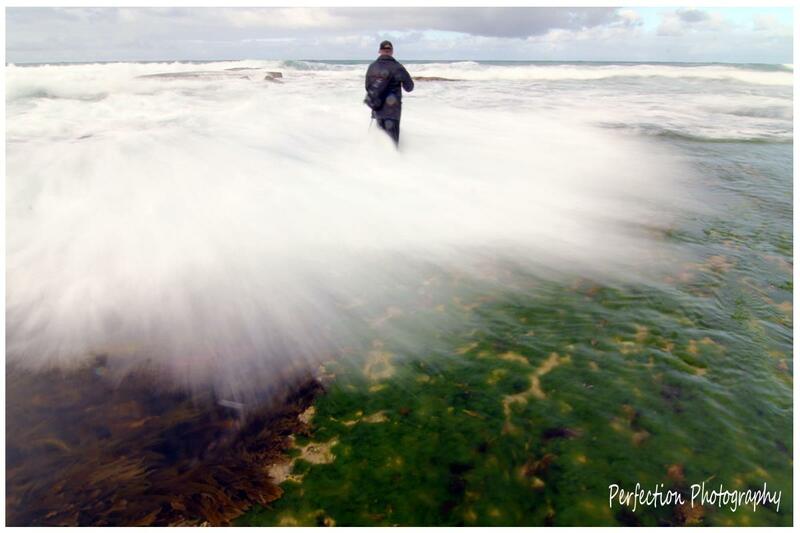 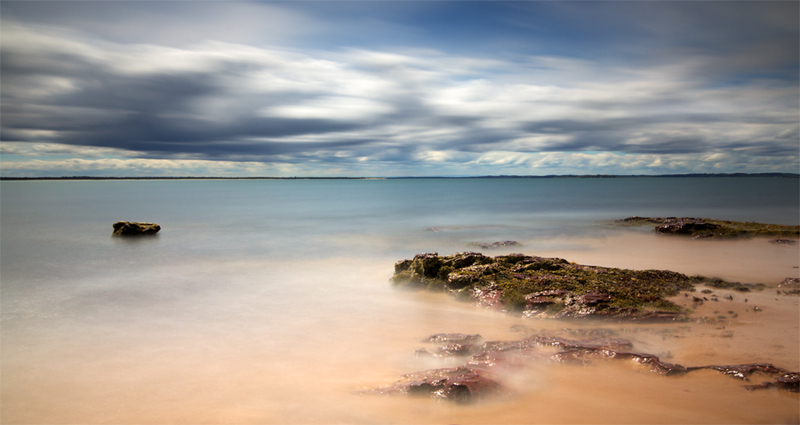 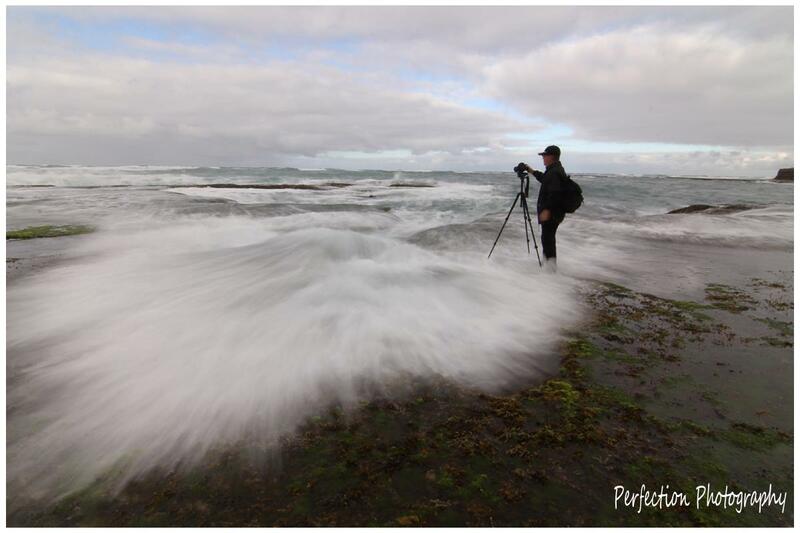 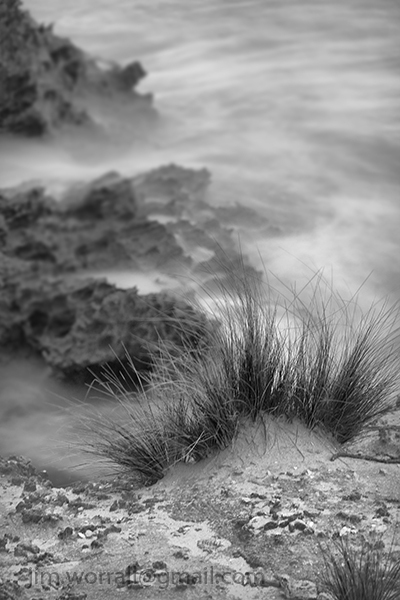 Below – Summerlands beach, Phillip Island. 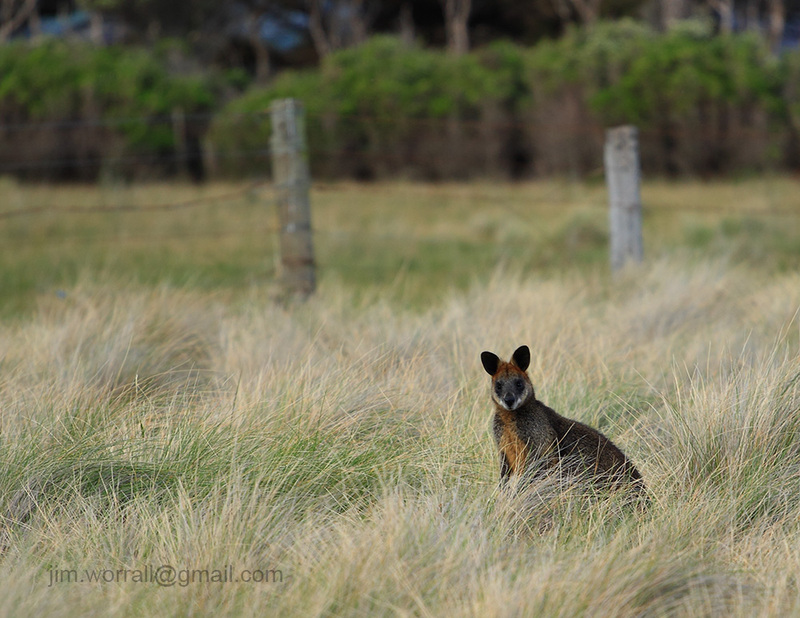 I was lucky to catch this one with no footprints near it since this is a popular stretch of beach for the locals to wander on. 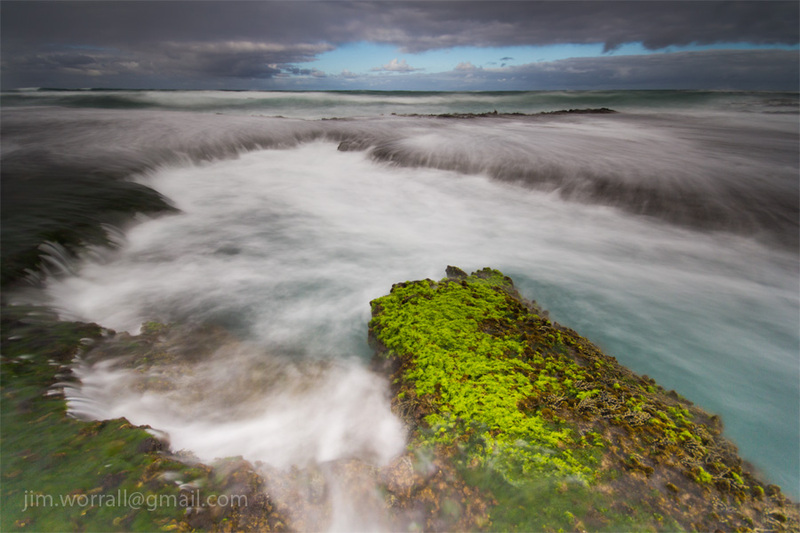 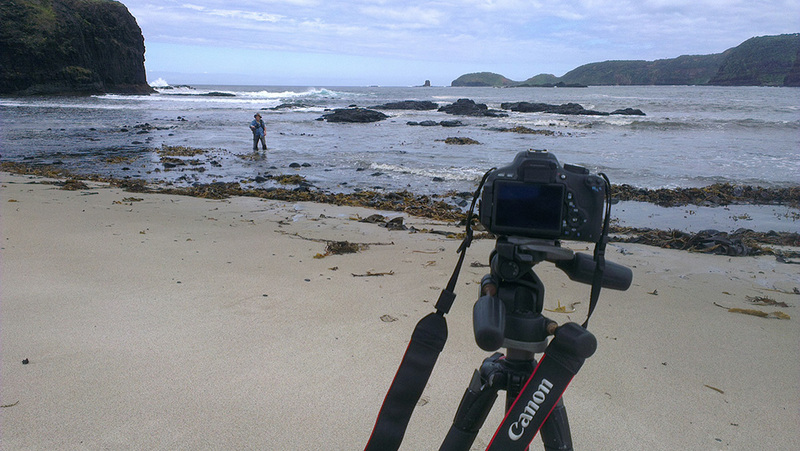 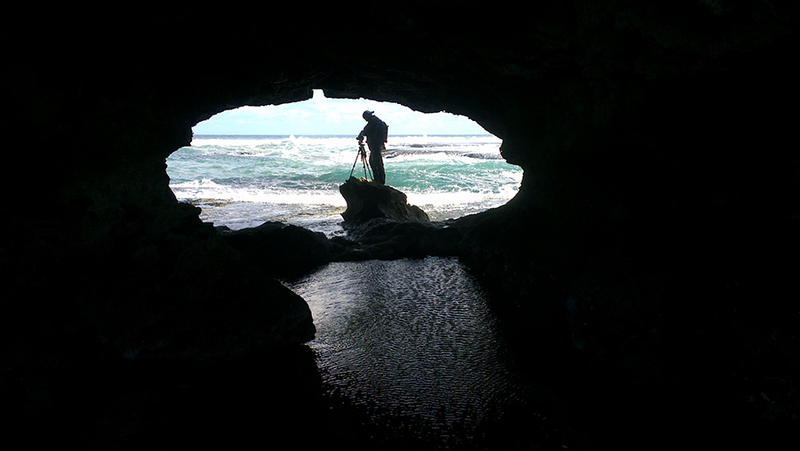 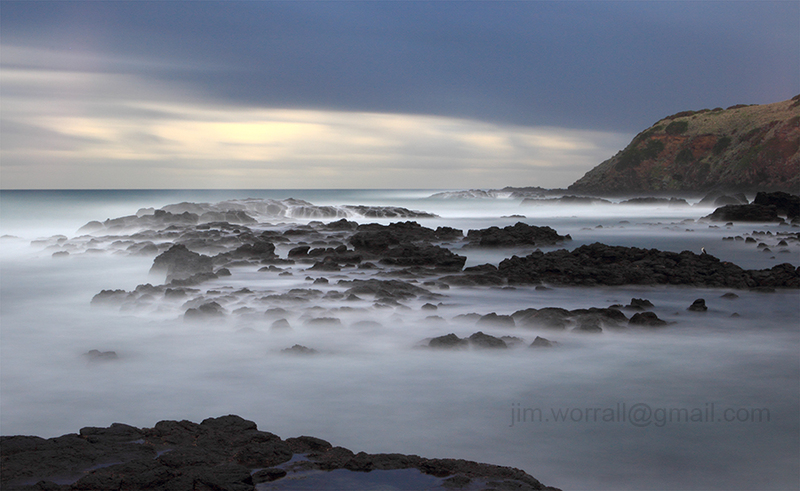 Below – Red Rocks beach, Ventnor, Phillip Island. 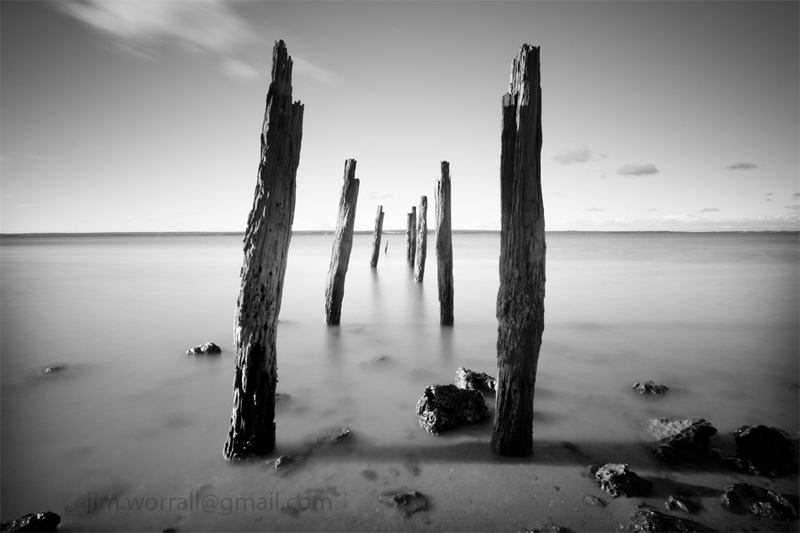 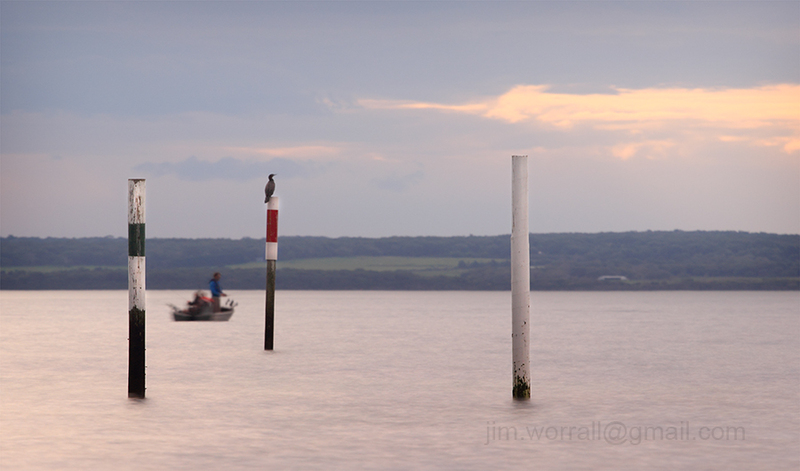 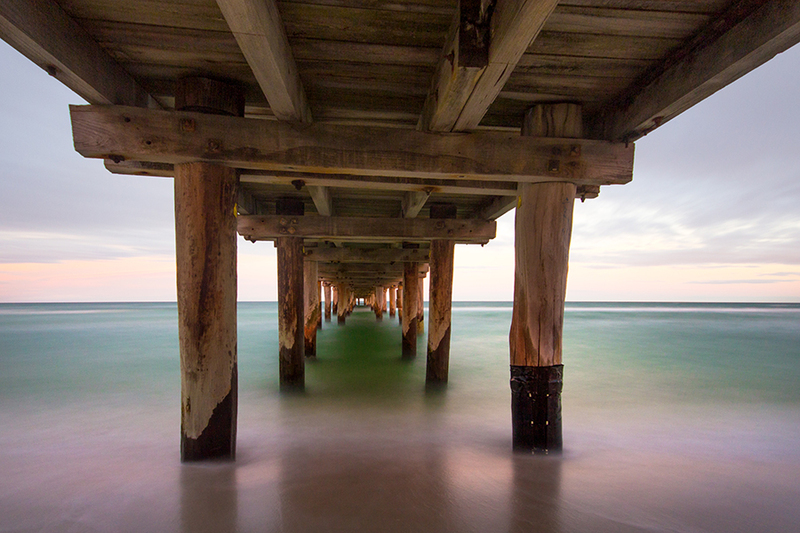 Below – Some old jetty remnants at Grantville beach, shot at dusk on the way home.